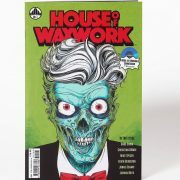 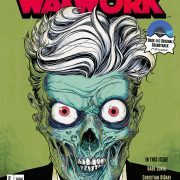 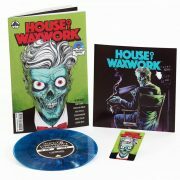 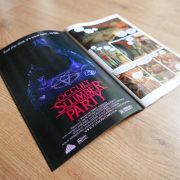 “Waxwork Comics is excited to release their debut comic book series, HOUSE OF WAXWORK. 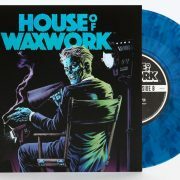 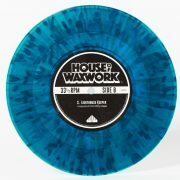 Featuring all new content from contemporary writers, illustrators, and composers, HOUSE OF WAXWORK is a rousing horror-anthology series packed with macabre tales of ghouls, ghosts, witchcraft, the occult, the living dead, revenge, and so much more. Readers will meet original and inventive characters such as The Die-Rector and The De-Composer, and will be fully immersed in the terrifying, original soundtrack music featured on the companion 7” colored vinyl that comes with each issue.